"The heart has no wrinkles!" 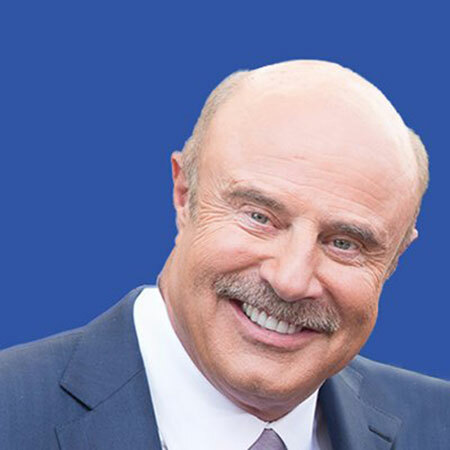 Dr. Phil McGraw, a trained psychologist, author, television personality, and talk show host came to limelight with his show Dr. Phil which began in 2002. Even after more than 40 years of togetherness, the highly rated show host never miss a single chance to adore his sweetheart. While many get bored and take another option in life, McGraw and his lovely wife still act like newlyweds even today! Behind his successful career, Dr. Phil's second wife played an important part to uplift him from every possible downfall. Oh yes! Phil's second wife, as he previously married too! Let's take a walk in Dr. Phil's married relationship including his past relationship and affairs. 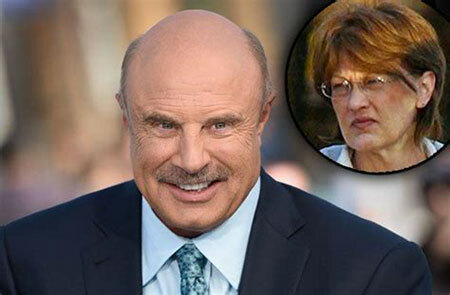 American Psychologist Dr. Phil Married Relationship: Who Is His Wife? The American psychologist Dr. Phil is a married man for over four decades now. Dr. Phil walked down the aisle with the love of his life Robin McGraw 43 years ago, when he was 22 and she was only 19 years of age. Dr. Phil and his wife Robin McGraw. Phil and Robin share two sons and two grandchildren and treat the family as their top priority in life. The pair became the proud parents of their first baby Jay McGraw in 1979, following by Jay's junior brother Jordan McGraw in 1986. Robin demonstrates her love equally as Phil and has been at every single Dr. Phil’s show, as an important balancing force for him. This was not our average walk-off! More Recently, Dr. Phil and Robin shared some tips for a long and happy marriage. On September 13, Dr. Phil left remarkable words for his wife on Instagram. "I always tell people that the formula for a good relationship is that it’s based on a solid friendship." Click link in bio for more of my and @robin_mcgraw's tips for a long and happy #marriage from our interview with Us Weekly. During an interview with PEOPLE in February 2019, Dr.Phil's wife proudly expressed that the two are still like newlyweds. There's no second option to say that they are both masterminds celebrating romantic moments, especially, Valentine's Day. As of now, the pair is a perfect example of true love, and acted as a role model to many of their admirers. Well, we just wish a happy long life journey to the beautiful pair in the days to come. Before actually tying the knot with Robin, McGraw remained in a married relationship with his first wife. Dr. Phil and his ex-wife Debbie Higgins. Dr. Phil had tied the knot with his first wife, an ex-cheerleader and homecoming queen named Debbie Higgins McCall, in 1970. But that didn't work out well for the psychiatrist and Debbie went on to file for divorce with Dr. Phil in 1973. You May Read: TV Show host Jamie Colby divorced her husband Marc Wallack in 2011. Is she getting married again? During the process of annulling the marriage, McGraw began dating Robin Jo Jameson, his current wife. Reports came back then that according to Debbie, McGraw was domineering and would not allow her to participate in the family business. Also, Debbie claimed that she got confined to domestic duties, which included lifting weights to improve her bustline. Phillip Calvin McGraw September 1, 1950, was born on Vinita, Oklahoma, U.S.
McGraw attended Shawnee Mission North High School and graduated from Midwestern State University. The 68 years old TV personality stands fair with a height of ‎6 ft weighing 80 kg on the ground. On October 21, 2017, Phil got threatened with a lawsuit when he accidentally hit a skateboarder with his Mercedes-Benz. As of 2019, Dr. Phil's estimated net worth is $400 million.